Robert De Niro is the Intern, a widower and retired businessman who decides to tackle an internship at a fashion website run by young whipper-snapper Anne Hathaway. Directed by Nancy Meyers, queen of comedies aimed at your parents. 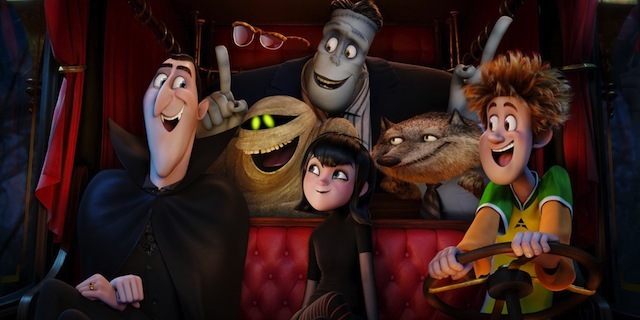 The Hotel Transylvania has been desegregated! It's now allowing human guests, and monster/human couple Mavis and Johnny are parents to redheaded son Dennis, who appears to be more human than vampire, much to the chagrin of grandpa Dracula. Roland Emmerich, director of such disaster movies as Independence Day, Godzilla (1998), and The Day After Tomorrow, has a disaster of another kind on his hands with this fictionalized film centered on the 1969 Stonewall Riots in New York's Greenwich Village. Drug war drama set along the border between Mexico and the U.S. stars Emily Blunt in another tough-as-nails role, this time as an FBI agent who joins a task force led by an agent with a mysterious past, played by Benicio Del Toro. Perhaps his secret is he's actually Pablo Escobar? 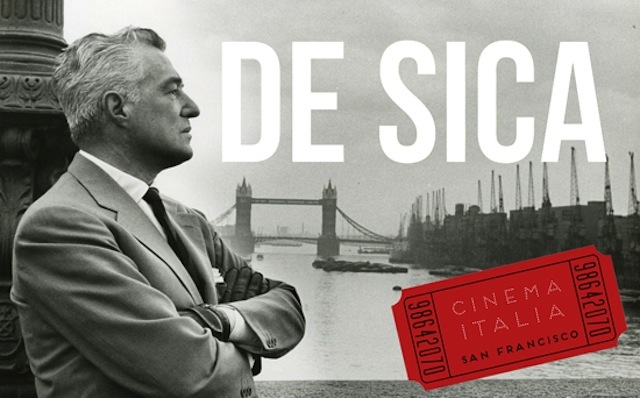 Mini-festival presented by Cinema Italia San Francisco features restored versions of four of Italian auteur Vittorio De Sica's best films, three starring Sophia Loren. Splurge for the deluxe tickets and see all four films followed by a party in the Castro Theatre's mezzanine.